of infants and young children. Because its' formula is based on natural plant ingredients. This cosmetic has been certified by Asthma-Allergi Danmark, what means a declarataion, that is perfect for sensitive skin. Gently cleanses and takes care of the skin, without interference in its biological balance. It deeply hydrates the skin, which becomes soft, flexible and comfortable in touch. The product contains no parabens, artificial colors or perfumes. It is fragrance-free. DermaPharm is the Danish company that, for over 30 years, is one of the leading manufacturer of cosmetics in Scandinavia. 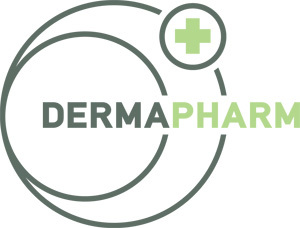 DermaPharm skin care products are used by health institutions and hospitals, where they fulfill the highest standards of quality and product safety. Derma cosmetics contain natural plant ingredients. They are certified by the Asthma-Allergy Denmark association. Derma cosmetics are a good choice for you and your family. DermaPharm company production and supply of raw materials meet the highest standards of quality and environmental protection. Derma cosmetics have the eco-certification: Ecocert i Nordic Swan. Derma cosmetics are natural skin care for the whole family. Copyright © 2012-2013 e-distribution sp. z o.o. All rights reserved.